The Canadian Manufacturer of mobile phones, BlackBerry recently tipped to launch a square-shaped Passport-esque smartphone: Oslo with its own mobile operating system. 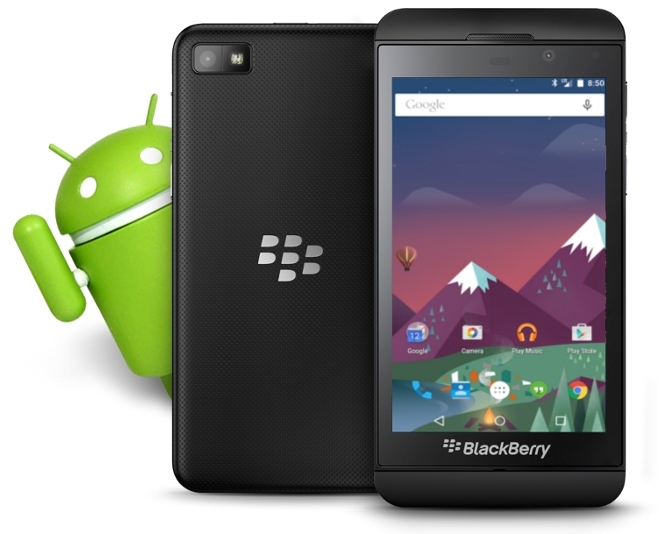 But now, a report of Re/Code has surprised the world, which is suggesting about the arrival of an Android based BlackBerry phone. Yes, instead of BB 10 OS, crowd-pleasing mobile operating system of Google is reportedly going to embellish next device of firm for the first time. However, BlackBerry phones are well-know for their business productivity that provide secure and consistent user experience. But, demand of Android and Apple iOS are on the high verge in market, where BlackBerry OS is less desirable among tech-savvy youth, say four sources familiar with the matter. Here, a question should pop up in your mind that why young-generation is gaga over Android and iOS? So, companies behind the firmwares managed to win mass appeal by offering elegant user interface and a bevy of intuitive, seamless and user-oriented applications via their app stores. At this place, it has been mentioned in report that "This move would be an about-face for the Waterloo, Ontario-based company, which had shunned Android in a bet that its BlackBerry 10 line of phones would be able to claw back market share lost to Apple iPhone and a slew of devices powered by Android. This firm once dominated smartphone sales, now has a market share of less than 1 percent." As reported by Re/Code, two informants chose to be anonymous said that it's basically an attempt of mobile maker to promote its BES12 platform, which is an enterprise mobility or we can say device management solution that works across many different platforms such as Windows, iOS and Android. Furthermore, it has been speculated that Canadian maker might use Android on its yet-to-be announced slider device that will probably seen light of the day in this autumn.